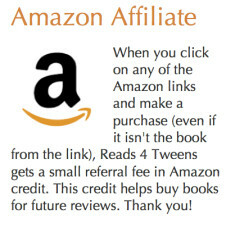 Reads 4 Tweens offers book reviews aimed at the adults who care about the books that kids aged 8 to 12 (give or take a few years) might be reading. 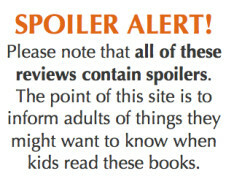 While there’s no reason kids shouldn’t explore the site, the reviews are full of spoilers—they’re intended to inform about content, not explicitly persuade anyone to read the book. It’s also intended to provide a place where parents, grandparents, teachers, librarians, and anyone else who cares can talk about the issues that arise with young readers. 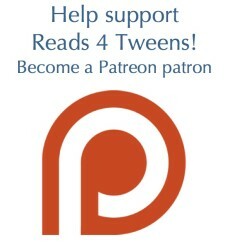 For a nice overview of the definition of tween/middle grade literature, check out this post. If you’d like to add your own review, please see the submission guidelines.